Shakespeare, Coward, Christie, Lloyd Webber and so many more ... you'll encounter them all using this wonderful tour guide on walks through theatrical history in present-day London. 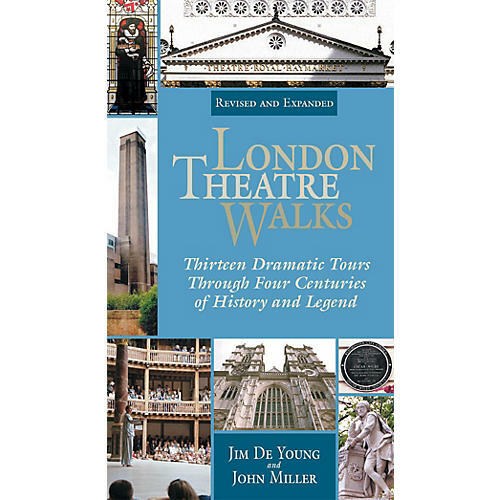 Applause is pleased to present a substantially revised, new edition of one of our most popular titles, London Theatre Walks. Jim De Young is out to entertain and educate as he guides his readers through the streets of London with authority, humor and relish. It's like having a personal tour guide escorting you from the magnificently restored Globe Theatre to the newly remodeled Lyceum Theatre, from Shakespeare to Les Misérables. London Theatre Walks reveals the original inspirations for some of the most famous plays in the English language. It visits the trysting spots of London's greatest actors and actresses, and the homes of England's greatest playwrights. All the tours begin and end at a well-known London landmark, making them easy and safe for even a first-time visitor. Every expedition is filled with enough detail to satisfy the most curious scholar, and enough juicy gossip and colorful legend to entertain every theatre fan. And the tour guides don't believe in walking with parched throats; they point out dozens of theatrical watering holes along the way. Detailed maps accompany the 13 easy-to-follow tours, which have been updated with the most contemporary information.